Shelach Lecha – What was the real crime of the spies? The parasha tells us the famous story of the twelve spies that Moshe sent to spy on the Promised Land. Those twelve were heads of the tribes, not regular people. The question that comes to mind is why send spies to check the land? וַיִּקְרָא מֹשֶׁה לְהוֹשֵׁעַ בִּן-נוּן, יְהוֹשֻׁעַ. And Moses called Hoshea the son of Nun Joshua. They just got out of slavery of over 200 years in Egypt, great miracles, receiving the Torah, seeing the presence of G-d on a daily basis with the guiding Cloud during the day and pillar of fire at night. Why go and spy on the land now? Any land to settle down should be good for them. The real reason is that G-d and Moshe wanted them to make their first free choice to connect to the Land of Israel. Up until now they were taken out of Egypt and followed Moshe in the wilderness, without much free choice. Now coming closer to the Land of Milk and Honey, the land where they will spend the rest of their lives, is a different story. G-d wants to give them a gift, the gift of free choice. G-d tells Moshe (Numbers 13:2) to pick one head of each tribe and send them "שְׁלַח-לְךָ אֲנָשִׁים, וְיָתֻרוּ אֶת-אֶרֶץ כְּנַעַן", the word used here is "יָתֻרוּ ", which is numerical value of 616 = "התורה ", The Torah, The land of Israel is the connection to the Torah, Zeir Anpin. The Idea was to let them see the land connect to its energy and make a choice to settle in it. A little lesson for sales people and parents; if you want to "sell" your stuff or ideas to your customers or children, allow them to choose from your selected choices. Do not say "Take this" or "This is the best for you… Trust me…" it won\’t work until they decide by themselves. Ask them the questions that you know the answer for. When their mind answers the question it is theirs. They own the decision and the channel is open for more communications. Let us examine the story closely. First G-d wanted Moshe to pick the heads of the tribes, so there would be strong leadership presence without a doubt. They were supposed to come back with positive experience and lead their people into the land. Moshe continues and gives them hints to what to look for and find. 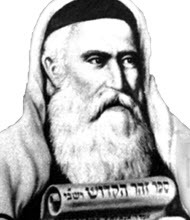 When he guides them to what to look for "מָה הָאָרֶץ", he refers to the word "מָה" as Zeir Anpin, the numerical value is 45 and it is equal to the name of G-d "יקוק" in the spelling of "הא ואו הא יוד " , which represents Zeir Anpin, The Light. The Zohar says that the Torah, the People of Yisrael and G-d are one. The leaders needed to connect to the Land and the Light as channeled through the land of Yisrael. Moshe also tells them to check "הֲיֵשׁ-בָּהּ עֵץ אִם-אַיִן" if there is a tree "עֵץ" or not "אַיִן". The word tree refers to the tree of life. Like in all good lies they started with some truth, like the snake when he came to Eve with temptation to connect to the Tree of Knowledge, good and bad. She later excused herself saying (Genesis 3:12) "וַתֹּאמֶר, הָאִשָּׁה, הַנָּחָשׁ הִשִּׁיאַנִי, וָאֹכֵל", "The serpent beguiled me, and I did eat.\’". The word "הִשִּׁיאַנִי " contains the words "הֲיֵשׁ" and "אַיִן \’, there is or there isn\’t. That represents the doubts of the people with the Light. In (Exodus 17:7) "וְעַל נַסֹּתָם אֶת-יְהוָה לֵאמֹר, הֲיֵשׁ יְהוָה בְּקִרְבֵּנוּ, אִם-אָיִן." "Because of the striving of the children of Israel, and because they tried the LORD, saying: \’is the LORD among us, or not?\’"
Moshe is giving the leaders of Yisrael an opportunity to correct their previous negativity (Exodus 17) and even the ability to correct the disconnection from the Tree of Life that Adam and Eve caused in the first sin and brought mortality to the world. They needed to find the Tree of Life and connect to it with certainty. Unfortunately, they made a horrible mistake and drew a picture that brought fear and death to the nation. That was the third time they had the opportunity to have the ultimate connection but failed. First were Adam and Eve. Second was the Sin of The Golden Calf, before the ultimate connection to the Torah. And now the 10 leaders missed again. Caleb tried to silence them and said that it is not true and they can go immediately and posses the land but the nation didn\’t listen to him and Joshua. They went to Moshe and told him (Numbers 14:2) " וַיִּלֹּנוּ עַל-מֹשֶׁה וְעַל-אַהֲרֹן, כֹּל בְּנֵי יִשְׂרָאֵל ; וַיֹּאמְרוּ אֲלֵהֶם כָּל-הָעֵדָה, לוּ-מַתְנוּ בְּאֶרֶץ מִצְרַיִם, אוֹ בַּמִּדְבָּר הַזֶּה, לוּ-מָתְנוּ" ,They used these words twice :"\’Would that we had died" "לוּ-מַתְנוּ ". In (Numbers 14:4) "they said one to another: \’Let us make a captain, and let us return into Egypt.\’". We are still under that effect of disconnection from the Light. That day was the Ninth of Av, The most negative day in the history of the Jewish nation. The two Holy Temples were destroyed by foreign powers. The Spanish Inquisition started the program to kill or convert Jews. Hitler revealed his plan to annihilate the Jews on that day. And better not to look for more examples. Moshe and Aharon fell on their face and Caleb and Joshua tore their clothes. They realized what happened and what is going to happen. The first sin of the Snake and Eve started with evil tongue and G-d never forgave this one. They had to pay one year for every day they were inside Yisrael. The whole generation had to die in the wilderness before having the second opportunity to come back to the Promised Land. Because they were leaders of the people, the effect of their action was deep and created "בכיה-לדורות" "Crying for generations to come". Today we see many leaders that are motivated by their personal agenda. They will use evil tongue to be elected and lead people to their death with lies; they make wars for no reason, except their own. They lead by placing imaginary fear in people\’s heart that the other nation is a great risk to their existence. They talk about peace and send fire to calm fire. Have you see a fireman who goes to put out fire with fire? Water is the energy of mercy; the Light is the energy of mercy and that is the energy needed to make peace. Moshe used the thirteen attributes of G-d to connect to unity and love and save the people from immediate death. The Great Rabbi Ashlag, of blessed memory, "Baal Hasulam" commented on Communism of community and are sharing resources, but they will not hold more than 70 years because they are not connected or involved with the Light in their action. He passed away before seeing how right and accurate he was. He didn\’t even need a proof. It is a law of nature. All leaders have the great responsibility of leading their people with love, unity and connection to the Light. All other options are chaos and death.